Someone has taken a walk through eternity leaving temporary footsteps in the sand. The universe swirls in a footprint on the beach where someone has walked in the sand. 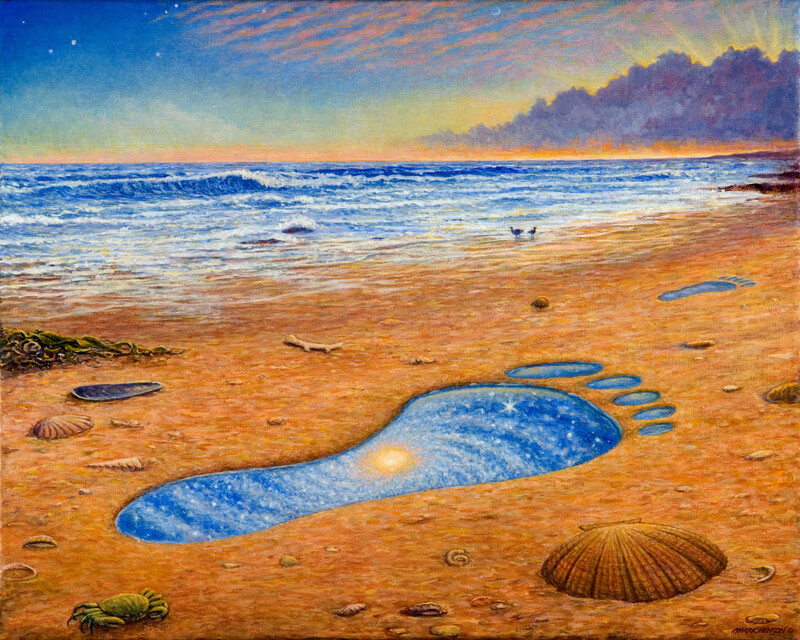 The footprint, like the universe, like someone, is here now and then gone tomorrow.